i was trying to plot out how effective wind mills will be in ontario? (as i am a bit concerned on just how effective windmills will be, given that we will not be able to erect towers as high as we can today. also it would be a tell-tale sign of where you are to strangers, as one ninger has pointed to this) i will try to make this relevant to all of eastern northern america, so that this is relevant to more ppl. this is is a current wind map of north america. (red = high, yellow = good, green = ok/not bad, blue/purple=sux). you can see how the westerlies flow over the ranges, and then picks up speed going downhill & the lakes produce a windy atmosphere as well. in canada, you can see the border of the westerlies, longitudinally north of that, what affects wind speed is the cold front from the poles. and note the effect hudson bay has on the land around it, as it acts as a "mini-north pole". now forward to the after time. the westerlies, must start forming from 30 degrees north, moving NE: http://library.thinkquest.org/C0112425/image/children/wind_map.jpg also it must form over a high pressure area. therefore, the most likelihood of where the westerlies will originate from will be to the west of greenland's tip, blowing over quebec. here is a topo map. you can see that north & eastern quebec have rough terrains. Therefore the seaway (or what will be the new bay) will more effectively channel the westerlies, bring the wind into the lakes. also after the rough terrain, the land gets flatter, smoother and loses elevation. (much like central U.S.) also, remember the "hudson bay effect". will the newly formed st lawrence bay mimic this behaviour? (in the summer the westerlies will be at its weakest. and this is exactly when you need the most electricity for plants.) this is why im asking how much of an effect this "bay/lake system" will have could you also say what the width of this new bay will be like? (to see how much of an influence the newly formed bay would have. i know you've said superior would detect salt water. but just how big will the bay be?). also without an "atmosphere" will winds be more faster (at a lower altitude) in general? as the clouds would in general be lower than usual. i was just punching in numbers in the calculator (re: electricity needs, wind usability, etc), and what i got out of it was not pretty. so i just wanted to get a hold of things with some certainty. We mentioned earlier that the public was, in general, wasting a precious resource with their demands. We mentioned hand wringing (agonizing over our predictions) and hand holding (demanding a hand held tour or exacting detail in an area involving their personal concerns). This question is yet another category, as it is demanding reassurance. Your human science and God given intelligence tells you what you want to know. You've done the research, and know what you are about. Why are you wasting Nancy's time and our time with this! Do you think, with 6 billion humans on Earth capable of getting access to our time via the Internet that such reassurance can be given to all? Don't you realize what a precedence you would be setting? Or are you the only person on Earth that should be the focus of our time and attention? What is the reason of 100.000 dead fish and dead birds from sky in Arkansas? Unusual "booming noises" were reported in the area, and officials say the birds may have been frightened Possible plate movement? Thousands of tremors have been reported in central Arkansas over the past year. [and from another] 1,000 Dead Birds Fall From Sky in Arkansas [Jan 2] http://www.myfoxtwincities.com/dpp/news/national/1000-dead-birds More than 1,000 dead black birds fell from the sky over an Arkansas town, possibly after a lightning strike or high-altitude hail hit the flock. The commission said that New Year's Eve revelers shooting off fireworks in the area could have startled the birds from their roost and caused them to die from stress. [and from another] Hundreds of snapper dead on beaches [Jan 5] http://www.nzherald.co.nz/nz/news/article.cfm?c_id=1&objectid=10697906 Fisheries officials are investigating the death of hundreds of snapper washed up on Coromandel Peninsula beaches. 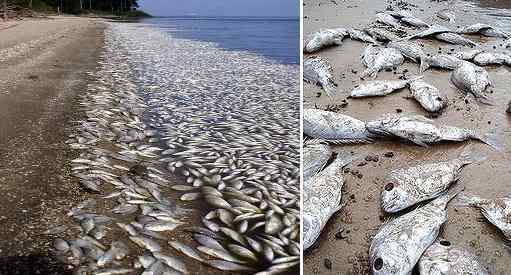 [and from another] Tons Of Dead Fish Wash Ashore In Brazil [Jan 3] http://freerepublic.com/focus/f-news/2651186/posts A survey conducted by the Federation of Fishermen's Colony of Paraná, Paranaguá on the coast of the state, indicates that at least 100 tons of fish (sardine, croaker and catfish) have turned up dead off the coast of Parana. [and from another] Dead birds from sky in Sweden [Jan 5] http://www.aftonbladet.se/nyheter/article8370375.ab The mass death of birds has reached Sweden. The U.S. has already dropped thousands of dead from the sky. And now, the mass death reached Sweden. On the way home from work just before midnight saw Drilon Hulaj and his peers colleagues suddenly to the street in front of them was studded with black fågellik, probably jackdaws. [and from another] Gas impact on fish and other marine organisms http://www.offshore-environment.com/gasimpact.html The symptoms of gas emboli include the rupture of tissues (especially in fins and eyes), enlarging of swim bladder, disturbances of circulatory system, and a number of other pathological changes. These general features of fish response observed in the presence of any gas in the water environment are likely to be found for saturated gas hydrocarbons as well. Available materials derived from the medical toxicology of methane and its homologues support this suggestion. Given the recent swarm of quakes in the Bonin Islands (Magnitude 6.4 Bonin Islands, Japan Region, Wednesday, December 22, 2010 at 21:49:39 UTC) along with those still occurring, should we not be giving more thought to these islands, given their proximity, as being a precusor to the folding of the Marianna Trench? [and from another] http://en.wikipedia.org/wiki/Bonin_Islands They lie above a subduction zone between the Pacific Plate and the Philippine Sea Plate. 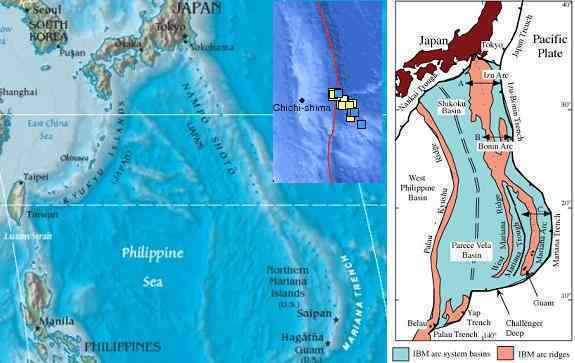 The Pacific Plate is subducting under the Philippine Sea Plate, which creates an oceanic trench to the east of the islands. Most of the islands have steep shorelines, often with sea cliffs ranging from 50 to 100 metres (160 to 330 ft) in height, but the islands are also fringed with coral reefs and have many beaches. The highest point lies on South Iwo Jima, at 916 metres (3,005 ft). As with other islands in the Pacific, such as Fiji or the Diaoyu Islands, the small islands along the rising edge of the Mariana Plate or the Philippine Plate will not fare well. There is simply no way to be 100 miles inland for any degree of safety during the tidal sloshing that the pole shift will bring. In those islands that have volcanic mountains, tidal bore will be an issue. Thus, Guam and the Mariana and Bonin Islands are not advised as safe locations. 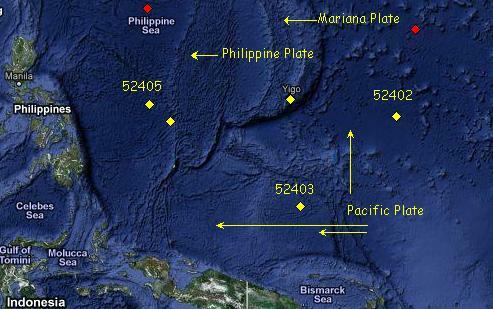 The tipping of the Mariana and Philippine Plates during the 7 of 10 adjustments will cause the eastern coasts on these islands to gain elevation slightly, while their west coasts will lose, commensurately. But during the 7 of 10 adjustments, water will be on the move, seeking its level, and thus could wash over small islands with low elevation. A devastation! Just wondered if there is anything relating to the "coverup" in the death of Mr. Wheeler? http://www.wdel.com/story.php?id=31316 January 4, 2011 Wheeler murder "hard to comprehend", Why was he killed? [and from another] http://www.dailymail.co.uk/news/article-1343881/Presidents-aide-John-Wheeler The married defence contractor served as an advisor under presidents Ronald Reagan and George Bush Senior. Mr Wheeler was also a special assistant to the Secretary of the Air Force during the presidency of George W Bush. [and from another] http://www.myfoxphilly.com/dpp/news/local_news/John_P_Wheeler_III Who killed John P. Wheeler III, a former Bush aide, and dumped his body in a Delaware trash bin? Wheeler, who also went by "Jack," was a Vietnam War veteran and served three different presidents on veterans' affairs issues. We warned that as the truth about Planet X emerged that those in the know, who could point fingers at others in regard to the cover-up, were at risk. Assassinations are on the increase, and left openly obvious. A mugger does not dispose of a body in a dumpster. They mug and run. This is also certainly not a suicide. Nor was Jack Wheeler putting himself at risk in a crime-ridden neighborhood. Thus, all who read of this death will be left with no doubt, and certainly those akin to Jack Wheeler, who might be inclined to leak, will be warned. The Mafia may leave a horses head on a pillow as a warning, but Republican presidents are capable of being just as obvious. Who did this, and why? There are those who know where the secret bunkers which cronies of Reagan and the Bush family intend for their retreat from the public's rage when the truth comes out about the cover-up over the presence and approach of Planet X. There are those who know about presidential orders for martial law, issued during the last three Republican presidencies and to a great extent reversed by Obama, which would allow mass murder of US citizens by confinement in cities and poisoning by water or air borne pathogens. Such executive orders are secret, under great cover of national security, and the order to murder citizens disguised as preventing mass panic or tranquilizing the citizenry, but the wording is such that "any means necessary" is clearly authorized. Those with integrity, knowing of such matters, are feared by those who are no longer in charge, and thus they are being eliminated. As plain as day, I say the world "WILL" printed/formed in clouds in the sky in late December 2010 at sunset. I can't remember the day, but it was probably between Christmas and New Year. This was not writing from a craft, but shaped out of clouds in the sky. It is hard to explain, as I don't have a good picture to show you. I know the picture below does not give you any indication as to what I saw, but I have included it anyway. Maybe if you blow it up you will see it better. Here are some simple definitions I found online. will 1 (wl) n.
1. The mental faculty by which one deliberately chooses or decides upon a course of action: championed freedom of will against a doctrine of predetermination. The act of exercising the will. 2. Diligent purposefulness; determination: an athlete with the will to win. Self-control; self-discipline: lacked the will to overcome the addiction. This was probably not intended just for me to see, but for all of Boulder, and even parts of Denver, and other surrounding cities. It is hard to explain, but the word "WILL" was obviously formed out of clouds by someone or something in the sky, right over the front range at sunset. I don't want to assume anything, but thought others would want to know about this occuring. If the Zetas want to comment on this, I would appreciate their comment. I have never seen anything like this before and immediately thought it was intentionally formed there. I'm sorry if this is an inappropriate question. It seems an obvious message to people in this area. The clouds do indeed seem to spell out this word, and those clouds doing this do seem to be going at an angle averse the background clouds. There is even a difference in altitude, allowing for a difference in cloud density. But it is not uncommon for cloud layers to form at different altitudes, in air masses moving in different directions and at cross angles to one another. That is the case here. The message received, however, is one you were looking for, looking for a sign, and therefore you grasped at the first thing appropriate. This is not uncommon among those looking for a sign. There was a Chupacabra that was killed in Nelson County Ky. Here is the website, http://www.wlky.com/news/26259468/detail.html. I thought the Chupacabra only live in South America. Myself living in Ky., I was really surprised to see one living so close to home. I know the Chupacabra are from the S.T.S. aliens, and sent here to scare human's, but I couldn't help feeling sorry for it. Are they really that vicious, is this a concern that we need to be aware of after the Pole Shift? When reports of young Chupacabras in Texas and Maryland emerged in 2004 we explained that their handlers, the Service-to-Self aliens who used them to terrify humans through psychological intimidation, had left and done a poor job cleaning up after themselves. Some young were left behind, and not being native to the Earth were having problems feeding themselves. Six years later, another young Chupacabra has obviously appeared in Kentucky. Does this mean they will become an indigenous species in the Americas? This is doubtful because of the pending pole shift, where humans will hunt the wildlife almost to extinction. The Chupacabra are blood suckers, and thus require the same prey that humans will be hunting. If they do not starve to death, they will be eaten. The establishment is desperate to prevent awareness of the presence of Planet X in the inner solar system, and has agreed among themselves that blaming rain and storm surge for the sinking of land in Indonesia would be the first volley against the ZetaTalk message. Thus, in Asia, any type of flooding, whether there has been rain or not, is blamed on rain in the media. Unexpected was the flooding in Queensland, as this had not been mentioned by ourselves. Australia was not included in the news blackout issued to cover our 7 of 10 predictions, and thus news of this flooding hit the world. 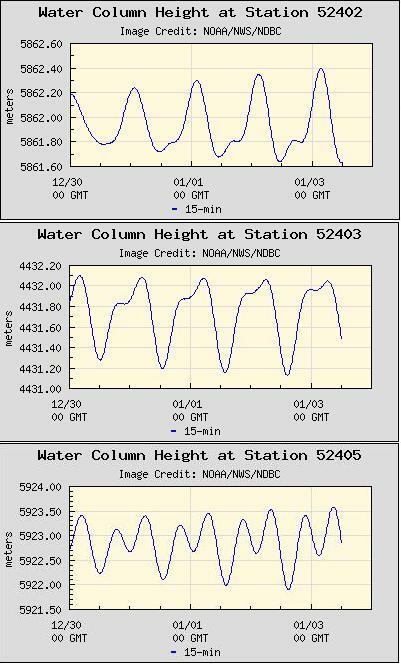 We have explained that the water wash backing up rivers along the eastern coast of Queensland is due to the tilting of the Indo-Australian Plate, but as this phenomena had not been expected, the establishment was taken by surprise. What does this mean? Is this a permanent state of affairs? That would hardly be the case, as water finds its level and the water heaped around the eastern edge of the Indo-Australian Plate is flowing in many directions to this end. The rivers will soon be flowing to the sea, unimpeded, and the flood waters draining as rapidly as they arrived. I heard on the (CBC) radio today (Jan 6, 2011) that Israel wants a peace agreement with the Palestinians within a year. The only story I found was this one, quote: "This week, Netanyahu offered nonstop negotiations with Palestinian President Mahmoud Abbas until peace is reached." Is this an attempt by Netanyahu to secure borders before the poleshift? Absolutely. The plan was to do a land grab as long as possible, and then at the last minute declare a truce with all existing lands under Israeli control remaining as such. A type of fraudulent squatter's rights, where they break all agreements up until the final peace agreement. We have predicted that the Israeli and Palestinian people will become brothers as a result of the pole shift, but this allegiance will not due to those in political control in Israel. They are likely to be killed by their own people, who have watched in horror and frustration their aggressive push against the Palestinian people. Many things will change when the serious Earth changes descend. 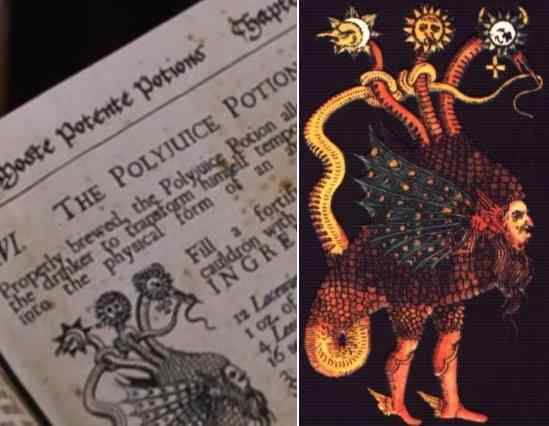 I was stunned to see the triple-headed Azoth used in "Harry Potter and the Chamber of Secrets" movie recently: the polyjuice forumla. As you may remember, this came up in your august 1st 2005 blog archive: a short discussion of this wonderful drawing of the alchemical dragon (the triple-headed azoth) of medieval alchemists remembering Nibiru or Planet X. I was wondering if at all possible J. K. Rowling or perhaps Chris Columbus (director of movie) had any specific intention in using this obvious icon of the passage of Planet X? No small coincidence given the popularity of the Harry Potter series. Of course the director inserted this, as the book was not filled with sketches. The design of the page was his choice. We have often mentioned the subconscious influence that authors, directors, artists, musicians, and actors can have when they are contactees and attempting to educate the public in subtle ways. It is known that only a short flash of an image or words on the screen can be recorded by the subconscious - a subliminal suggestion. Where not recognized consciously, this registers. The unmistakable Sun and Moon, with a Second Sun, registers, and when the Sun and Moon begin to appear outside of where expected in the skies, the mind connects the dots. I am wondering about the part of Washington State in the USA that is known as the Great Peninsula. 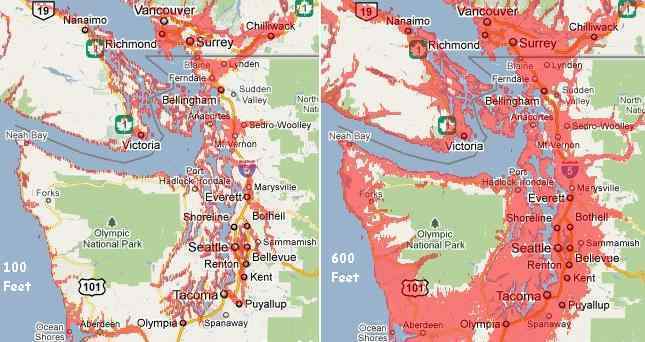 I know the Japan tsunami and later the Pole Shift tsunami will sink/destroy the low lands around Seattle/Tacoma/Olympia, but I have not been able to see any information about the area we know as the Great Peninsula which is where the Olympic Mountain range is. I've tried to locate it on the post shift map but that area is so small and indistinct I really can't tell if the Olympics are gone or just an island. Can you please give me more information about this area and what will happen to it? There is a page dedicated to Puget Sound in the Safe Locations information, and this page likewise comes up readily on a simple websearch via the dedicated Search Engine for the ZetaTalk website. Top item, in fact! How did you miss this? You were instructed to research both the Safe Location information and to use the Search Engine! This is also noted as a link on the bottom of the page for Seattle which presumably you read as you mention this in your question. Your Great Peninsula is within Puget Sound, so your questions are already addressed both in text and with supporting graphics! What is the matter with you people, that you waste this resource, the access to ourselves via Nancy in such a way. Are you lazy or selfish or both? Certainly, at the least, inconsiderate.